To illustrate, research data suggests there is a strong relationship between urine concentrations of BPA and Type 2 diabetes and reduced testosterone levels.10-11BPA is also an endocrine disruptor. It binds to receptors on cells used by hormones that regulate physiological functions and thus takes the place of the body’s natural hormones. Robert Silverman, DC, CNS, CCN, CSCS, CKTP, CES, CIISN, DACBN, DCBCN, HKC, SASTM, is teh author of Inside-Out Health: A Revolutionary Approach to Your Body. teaches seminars nationwide and in Canada and has a successful sports injury and sports performance private practice in Westchester County, New York. He can be reached at drrobertsilverman.com, [email protected] or through erchonia.com. 1 Rappaport SM, Smith MT. Environment and disease risks. Science.2010;330(6003):460-61. 6 Centers for Disease Control and Prevention. “Fourth National Report on Human Exposure to Environmental Chemicals.” Published 2009. Accessed November 2014. 7 Environmental Protection Agency. “Polybrominated diphenylethers (PBDEs) Action Plan Summary.” Existing Chemicals. Updated October 30, 2014. Accessed November 2014. 9 vom Saal, et al. Bisphenol A and risk of metabolic disorders. JAMA.2008;300(11):1353-54. 14 Musser W. Mitochondrial inhibitors and neurodegenerative disorders.J Neuropsychiatry Clin Neurosci. 2000;12:280-281. 18 Vree TB, et al. Effect of urinary pH on the pharmacokinetics of salicylic acid, with its glycine and glucuronide conjugates in humans.Int J Clin Pharmacol Ther. 1994;32(10):550-8. 19 Zmonarski SC, Klinger M, et al. Therapeutic use of potassium citrate.Przegl Lek. 2001;58(2):82-6. 20 John TJ, Jesudason MV. The first epidemic of Vibrio cholerae O139.Int J Clin Pharmacol Ther. 1994;32(10):550-8. 22 Meeker J, Ferguson K. Relationship between urinary phthalate and Bisphenol A concentrations and serum thyroid measures in U.S. adults and adolescents from the National Health and Nutrition Examination Survey (NHANES) 2007-2008. Environ Health Perspect.2011;119(10):1396-1402. 26 Sheweita SA. Drug-metabolizing enzymes: mechanisms and functions.Curr Drug Metab. 2000;1(2):107-32. Dr. Robert G. Silverman is a clinical nutritionist, sports physiologist, chiropractor and author of “Inside-Out Health: A Revolutionary Approach to Your Body,” an Amazon No. 1 bestseller in 2016. 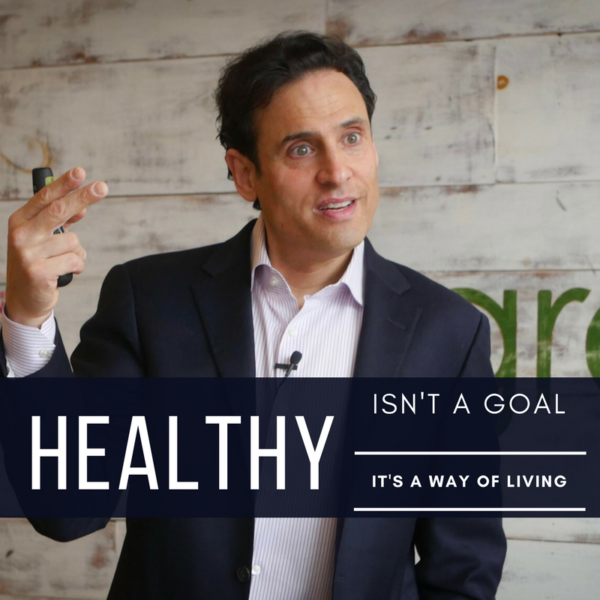 He also maintains a busy private practice as founder of Westchester Integrative Health Center, which specializes in the treatment of joint pain using functional nutrition along with cutting-edge, science-based, nonsurgical approaches. Dr. Silverman is also on the advisory board for the Functional Medicine University and is a seasoned health and wellness expert on both the speaking circuits and within the media. He has appeared on FOX News Channel, FOX, NBC, CBS, CW affiliates as well as The Wall Street Journal and NewsMax, to name a few. He was invited as a guest speaker on “Talks at Google” to discuss his current book. As a frequent published author in peer-reviewed journals and other mainstream publications, including Integrative Practitioner, MindBodyGreen, Muscle and Fitness, The Original Internist and Holistic Primary Care journals, Dr. Silverman is a thought leader in his field and practice. The ACA Sports Council named Dr. Silverman “Sports Chiropractor of the Year” in 2015.